You’re working the cycle down low and just as you’re about to cut hard to the net, the defender’s stick comes up and clips you in the face. The referee’s arm goes up and you’re bleeding so the Power Play unit is going to work for four minutes. 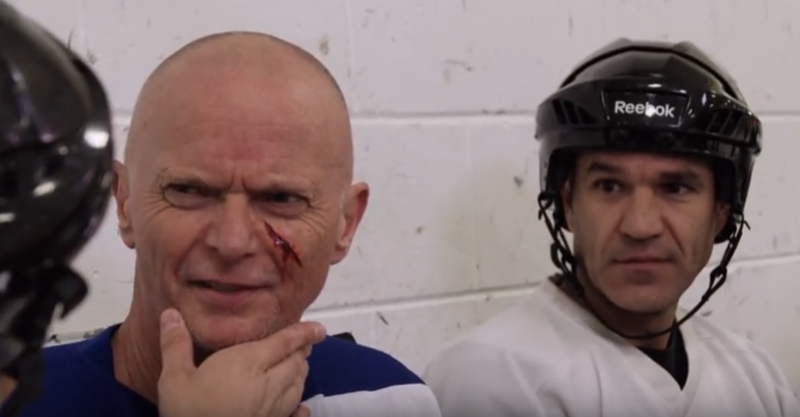 Now the unfortunate thing about playing hockey is that sometimes you might be dealing with a minor strain, and sometimes you might be bleeding all over the ice. “There are a lot of things doctors consider when there’s a laceration. We’re looking at the size of it. We’re looking at the tissues underneath. We want to make sure that the wound is going to come together nicely and we want to make sure that we decrease the risk of infection which can lead to worse scarring,” says Dr. Alun Ackery, an Emergency Room Doctor for St. Michael’s Hospital in Toronto. Some of the important spots are the ears, the eyelid, and in the mouth. Those are places that really may require a specialist to heal appropriately. Put direct pressure on it, clean it out and see if it stops bleeding on its own. If the edges come together and there’s nothing gaping, you may be able to get away with just a Band-Aid or some Steri-Strips. Get an assessment if it’s still gaping or it’s over a joint. Go and see a physician immediately if there’s any numbness, tingling or paralysis. An animal bite or a human bite really needs to get checked out because those are some nasty infections and that will definitely increase the scarring. Alcohol or Betadine are not needed to clean these wounds. You want to clean out any of the foreign material and water is the best thing. “The longer you wait to get it checked out research shows there’s a much higher risk of infection,” says Dr. Ackery. It’s the age-old question that every guy either fears or is weirdly excited about – will it leave a scar on my face? It’s really up to the body about how it heals. Some people are really good at healing and other people tend to have big scars regardless of the injury. Now you can also take into consideration where it is on the body. The face tends to heal a lot better because it’s got lots of blood vessels as opposed to other parts of the body. And it also helps if it’s going in the same lines of the face. So the next time you get two-handed across the jibs and you’re spouting blood on the moneymaker, don’t put off getting it looked at. When in doubt – get it checked out. And while you’re at it, check out our Locker Room Doctor on the bench dropping some knowledge about cuts and stitches.